67 people have viewed this property this week. Coral Kai’s full-width, shaded veranda offers a place to relax in outdoor sectional sofas or lounge chairs; cool tile floors and outdoor dining tables make it the perfect place to unwind after a day of surf and sand. A charcoal grill next to the pool makes for effortless outdoor dining. 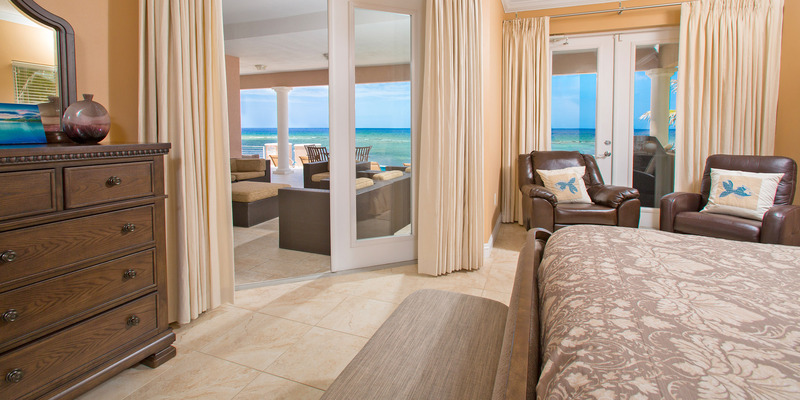 Oceanfront windows and french glass doors facing the sea flood Coral Kai with Caribbean sunshine year round. 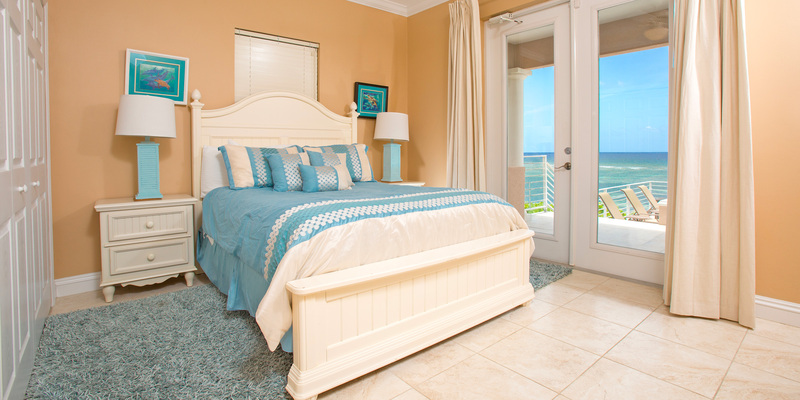 The recently redecorated interior gives the home an airy, beach house feel without sacrificing luxury or comfort. 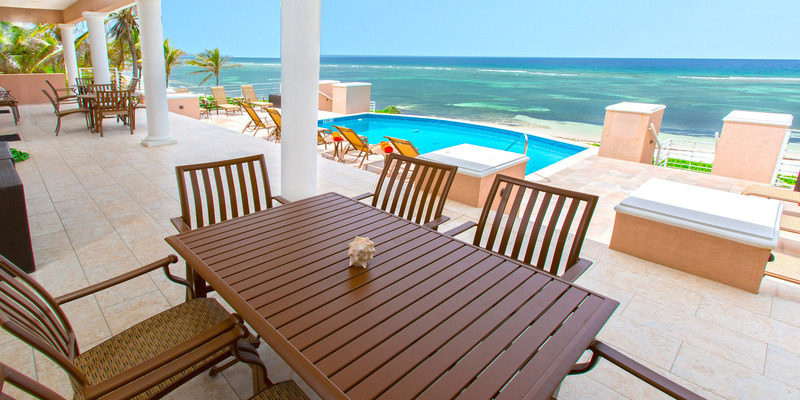 The living, dining and kitchen areas all offer wonderful views of the Caribbean Sea. 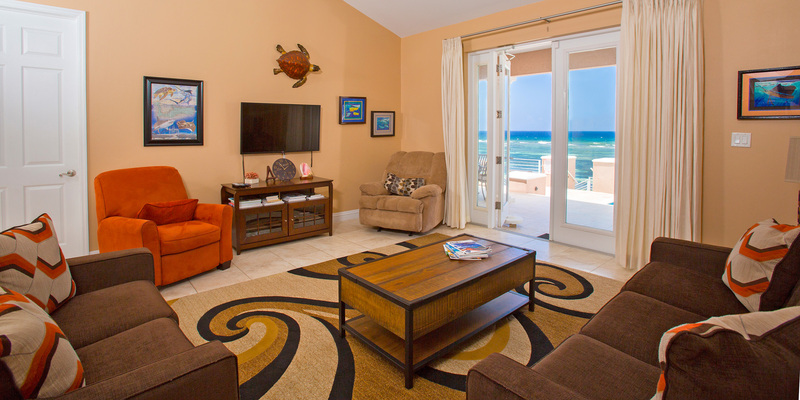 An enormous sectional sofa and large flatscreen TV in the oceanfront living room allow everyone to hang together at the end of the day, whether they want to watch a movie or just relax. 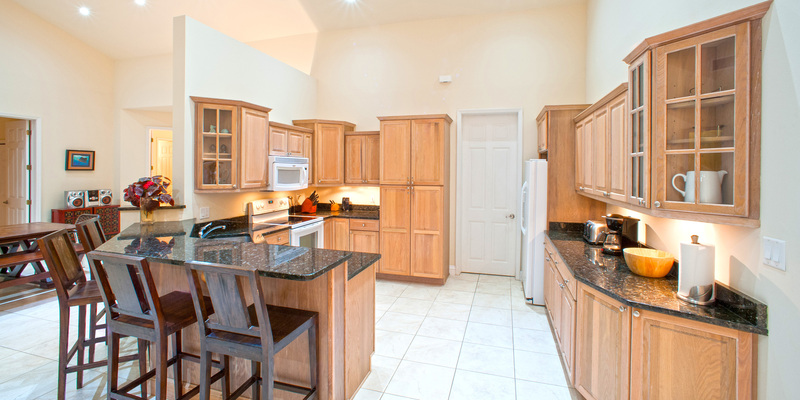 Sizable, open kitchen with modern appliances, plenty of counter space, and bar seating for quick meals or evening drinks! Dishware, cookware, cutlery and a coffeemaker are all provided. Separate den with an additional flatscreen TV is perfect for kids, teenagers, or anyone who wants to get away for a few moments. One twin Bedroom with bathroom just outside bedroom door. Superb wedding venue for small ceremonies. Accommodates up to 10 guests max. Excellent for large families, or 2-5 couples. Twin bed can be converted to a king upon request. Pool heat (winter only) available for $250 per week surcharge. Our family of 9 (5 adults and 4 children) spent an amazing 8 days at Coral Kai. (Our first year was at Villa Zara.) 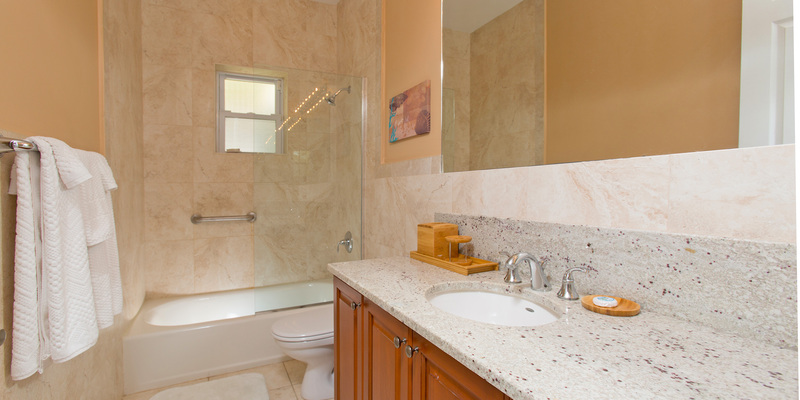 The home was perfect -- well equipped, clean and welcoming. The ability to snorkel right off our beach was an added plus. Our private charter with SilverThatch was awesome! We swam with the sting rays, snorkeled at an amazingly colorful reef and even got to see the mangroves! 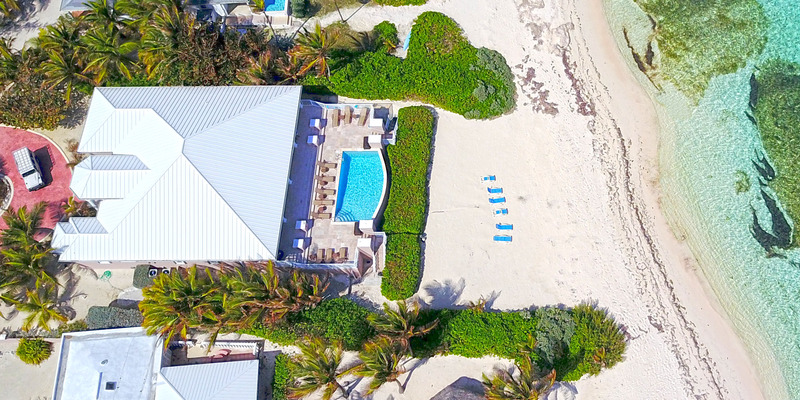 It\'s our second year renting a property and a charter boat trip from Grand Cayman Villas & Condos and SilverThatch, and we are truly impressed with their service and attention to detail. The last two years on Grand Cayman have been our best vacations ever!! Absolutely great experience. Booking and prearrival were perfect. There was plenty of communication and they answered all of my questions. The property is exactly as described. We purposefully stayed in the Rum Point area to avoid all the hustle and bustle of Seven Mile Beach. Although we took several trips to that side of the island and had no trouble with the drive. My children could not get over the fact that you could just walk out the back of the house and snorkel! We picked up our complimentary equipment at the welcome center and they helped fit us with all the right sizes. The house is well appointed. Beds are comfy and plenty of towels. We used the kitchen regularly and it is well equipped. All the appliances and AC worked fine. There were plenty of TV\'s and an excellent selection of channels. The house was large enough that you could fine a quiet spot if you wanted although we stayed around the pool area most of the time. We stayed a week and all wished that we could have stayed longer. We were fortunate that there was always a breeze off the water so it wasn\'t too hot and there were no bugs/flies/mosquitoes. We would love to back!! We stayed at Coral Kai for one week. Our group consisted of 4 couples celebrating a 50th wedding anniversary. The villa had everything we needed and large enough that each couple had enough privacy when desired. The Silver Thatch benefits that are provided were great as we used a Keurig, snorkel gear, and cooler. Checkout of the items was very smooth and Peyton Ebanks was very helpful during the process. We highly recommend using Silver Thatch Charters for a trip to Stingray city and snorkeling. Captain Joe was extremely helpful and full of insight. Would definitely use Silver Thatch Charters again on a return trip to the island. Coral Kai is a beautiful home! 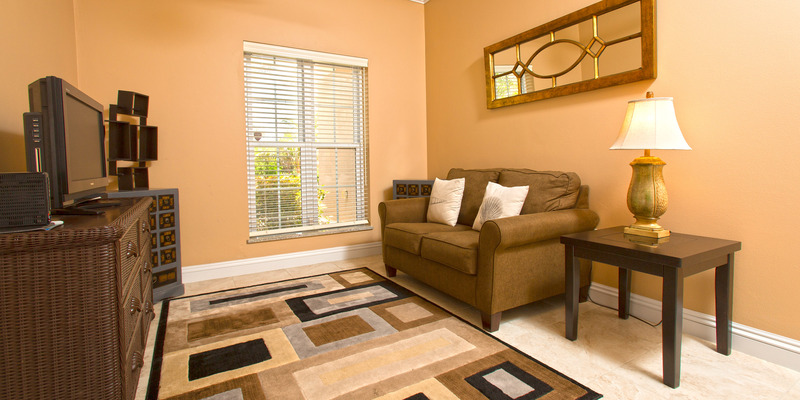 The home is nicely furnished and had all the amenities that we needed for our week long stay. The view from the back of the house is gorgeous! The home is in a great location. It\'s very private and relaxing! We definitely enjoyed our stay and would rent it again! Highly recommend staying at Coral Kai! We were a family of 10 grandparents,children and grand children. It was exactly like the pictures. The kitchen was fully equipped. The pool area was our favorite place to hang and watch the sunrise every morning along with watching the kids swim and looking out over the ocean. You can easily snorkel out to the reef and see plenty of fish. You can stand up the whole way as it is only about 4ft deep to the reef. You do need water shoes or flippers though. The beds were very comfortable and there was plenty of room to get away if you wanted some quiet time. I would definitely recommend this villa, we didn’t want to go home. The only down fall was they were having trouble with sargassum grass which was hitting a lot of Caribbean islands they warned us ahead of time about the situation but we decided we wouldn’t let it ruin anything we just went through it and snorkeled. Nothing you can do about Mother Nature. Anyway the weather was great 88 degrees everyday and sunny. Definitely will go again. Make sure you do your major shopping on the other side of the island. There is a small grocery store just down the road. And another down about 20min on the east end. Starfish point is close by and Rum point. Plenty of things to do but we were happy staying right at the villa what a relaxing vacation. We were a family if 10, grand parents children and grand children. What a wonderful place waking up every morning to the sun rise we took pics everyday. Having the pool right ther and being able to see the ocean and watch the kids at the same time was great. 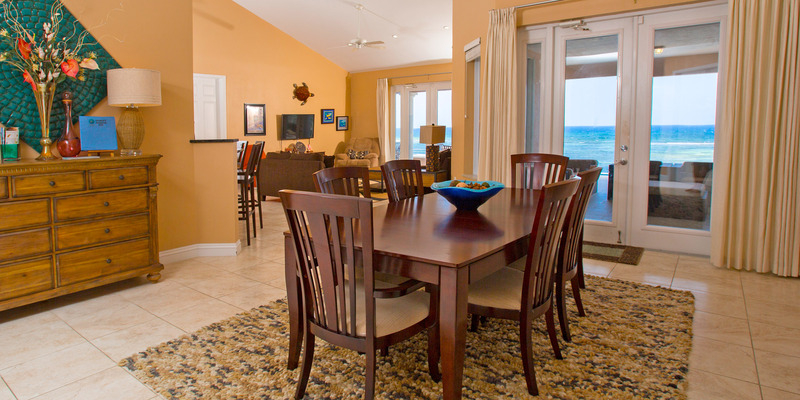 The house has everything you need in the kitchen plenty of towels and beach towels, beach toys for the kids. The beach was beautiful white sand. There was a lot of sargassum weed that came in and is kinda stinky but we were warned about it ahead of time and we didn’t let it bother our vacation can’t stop Mother Nature. If you get by the sargassum you can snorkel the whole family went quite a few times, you will see plenty of fish, only about 4ft deep out to the reef make sure you have water shoes or flippers on. Nobody wanted to leave amazing vacation we all agreed we would like to go back. 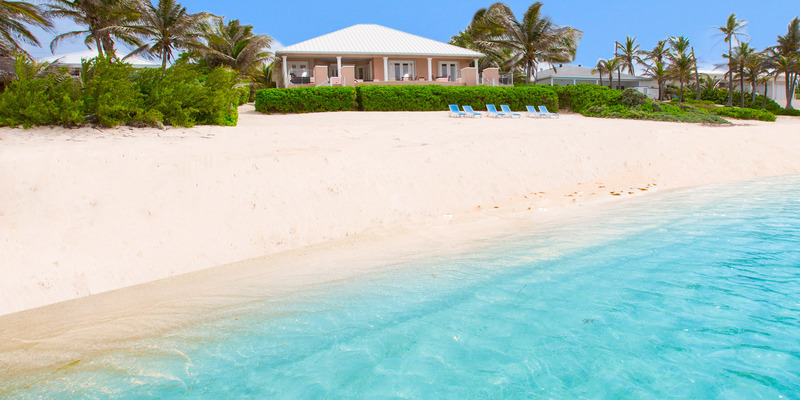 Called grand cayman villas and silver thatch services to ask a couple of questions which they answered right away or got back to me shortly. We also had a photographer come to the villa to take photos of the family and she did such a wonderful job. We got her through the silver thatch David Wolf photography Janet Jarchow she was great highly recommend her. It’s pretty far to get to a store for food, etc. But being in a cove with amazing snorkeling, a private beach area and a pool was worth it! We will likely be back. 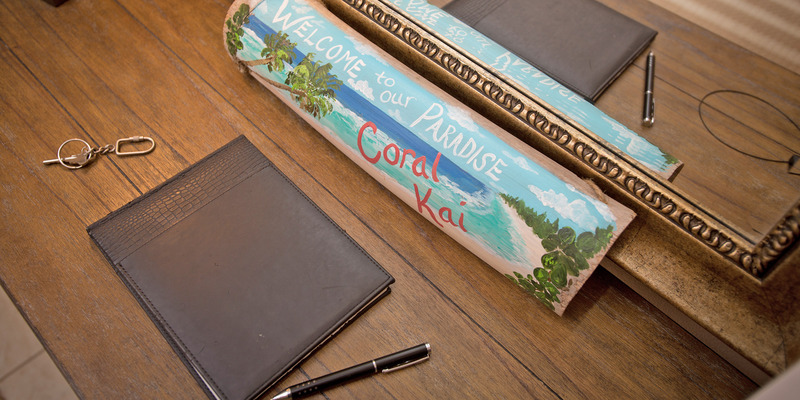 Glad you enjoyed your stay at Coral Kai. The snorkeling is very nice at Coral Kai and across the top of the island. The distance from stores is completely by design in an effort to reduce traffic, loitering and keep the area high end residential paradise. Most guests would see that as a plus. 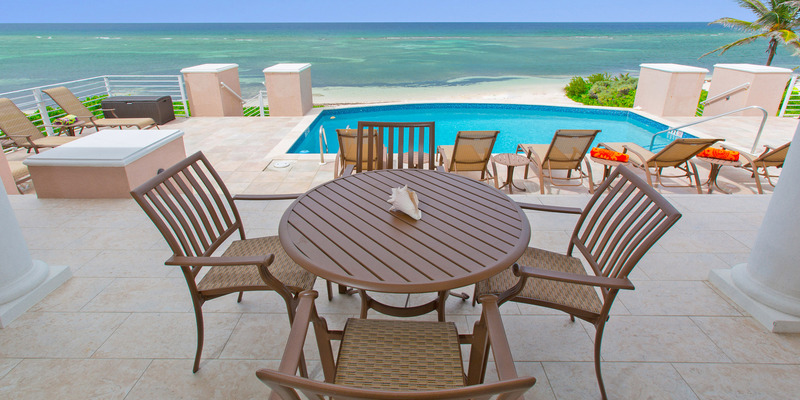 Cayman Kai area is a safe, peaceful, family residential part of the island. There are three large grocery stores on the way to Coral Kai, another mid-sized grocery 15 minutes east and a convenience store 5 minutes away. Many guests also use local delivery services for groceries as well. Perfect Spot for Family Vacation! Our family of 9 (grandparents, children and grandchildren) stayed at Coral Kai for 5 perfect days to celebrate our 50th anniversary. This villa is outstanding with plenty of room for all. It is spotless, spacious, airy, has a beautiful view from the veranda and the pool is great. There is plenty of seating indoors and out. There is an ample supply of toys for the kids to use in the pool or on the beach. The linens provided are plentiful including lots of beach towels. All the appliances are like new, plenty of dishes, pots and pans, etc. It is close to Rum Point club, Kaibo and Starfish Beach. The beach is large and sandy and it is possible to walk all the way out to explore the coral formations on the reef, just use water shoes out there. Water is very calm so kids enjoyed it too. There was a lot of seaweed washed up the beach. This might be a seasonal issue but the only minor complaint. Perhaps having it raked aside occasionally would be an improvement. I also have to comment on the very friendly and helpful residents of Grand Cayman. Everywhere we went they were the best. Our family (grandparents, children, grandchildren) celebrated 50th wedding anniversary staying at Coral Kai. The house was better than its pictures, spotless, plenty of room for all, beautiful view from the large veranda, splendid pool, lots of pool toys for the grandkids. The rooms were furnished very nicely with lots of seating indoors and out. The linens were first class and plenty of beach towels too. 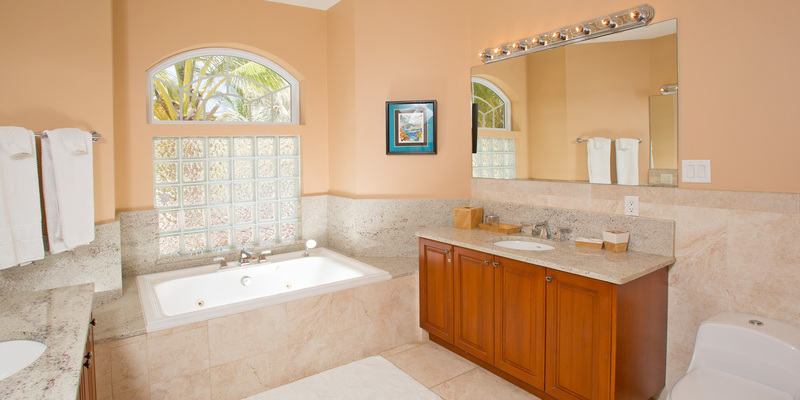 The location of the house close to Rum Point, Kaibo and Starfish Beach is convenient and the area is perfect for a quiet vacation. We all spent time on the beach and in the water walking out to see coral formations on the reef. The water is calm so the kids enjoyed this too. Water shoes are recommended however the beach is sandy unless you walk out. There was a lot of seaweed washed up on the beach, a minor complaint. This might be seasonal but I think periodic raking up would be an improvement. All in all an outstanding property. 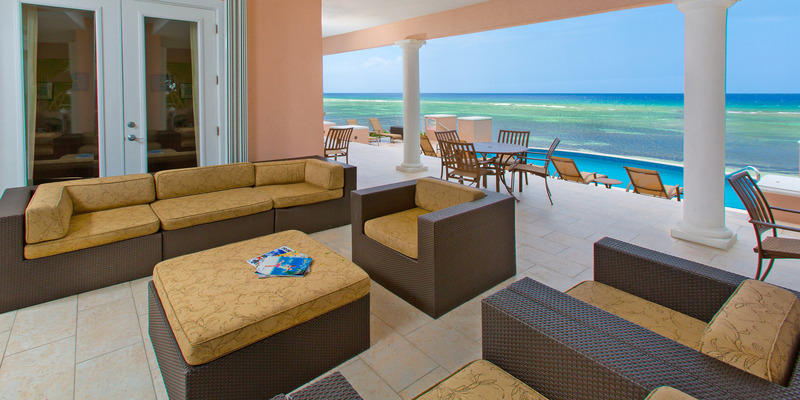 Cayman Condos and Silver Thatch are a first class group. The entire rental process was excellent. The folks are professional, courteous and very responsive. We also chartered a boat from Silver Thatch for Sting Ray City excursion and I highly recommend this. All local people we met were very welcoming and helpful. We have just returned from 10 glorious days at Coral Kai. We were a family group of 8 including a 2 year old and 3 month old. The set-up of the villa was perfect. Lots of room for everyone, loved the number of bathrooms! This is one of the first times that we have stayed somewhere where the pictures and description of the property were actually true - if anything the pictures didn\'t show the roominess of the villa. We were all pleasantly surprised. The kitchen is well stocked, appliances all work well. Lots of beach towels. One thing that we might suggest is that the propane tanks be checked before guests arrive. That being said, we contacted the property manager via text and she arranged for a tank to be delivered in about an hour. The pool was lovely, well maintained. Lots of pool and ocean play things available in storage bins on the pool deck. There were some bugs on the evenings when there was no wind, but not a problem. We did lots of snorkelling right off the beach. Lots to see - we have done snorkelling in lots of other places and this was comparable with just about anywhere. We were very happy that the air conditioning and fans worked so well, particularly travelling with little ones. Also the outside covered areas were well used. Loved the location - exactly what we were looking for. Quiet and very private. We did pre-order groceries through Eddie at Cayman Shoppers. This was the best! The groceries were waiting for us in the villa when we arrived. Also, would like to complement Scott for his prompt and informative communications. All dealings with staff were excellent. 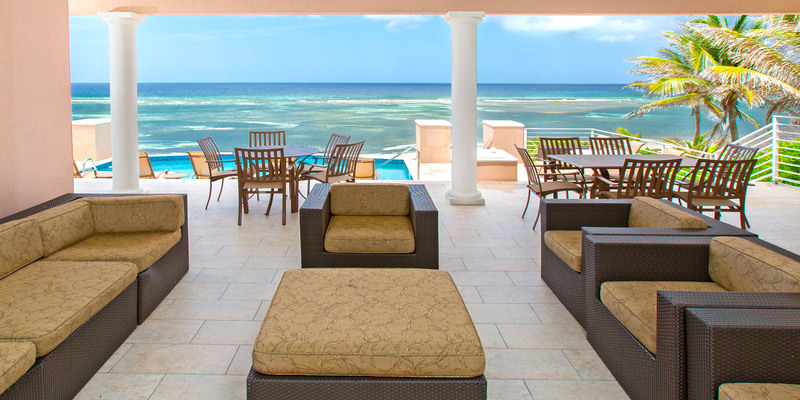 We would highly recommend this villa and Grand Cayman Villas and Condos. Silver Thatch Guest Services - The staff was very helpful and it was great to be able to borrow baby gear and snorkel gear and pick up our wine order. However, the cost of this service was very high. A group of 8 of us just got back from a week at the Coral Kai. This is a beautiful house in a quiet area. The ocean view is INCREDIBLE. The house is lovely and well-maintained. There are 2 master suites, 2 queen rooms, and one room with 2 singles. All of the bedrooms are beautiful. The kitchen is well-stocked with dishes, bowls, tupperware, utensils, knives, etc. The patio provides much shade, which is nice. This is a great property for those seeking a quiet, relaxing vacation. This is close to Rum Point (driving) where there are a few restaurants. Also close to the East End. If you are looking for more of the action of Seven Mile Beach, the drive is far. We went into Seven Mile one day and it was a blast, but it is pretty far if that is where you want to spend the majority of your time. It\'s a quick trip to Stingray City, which is a must. The locals are so friendly. All in all, our group had a wonderful time and we would highly recommend. Also, the management is super helpful for any requests. 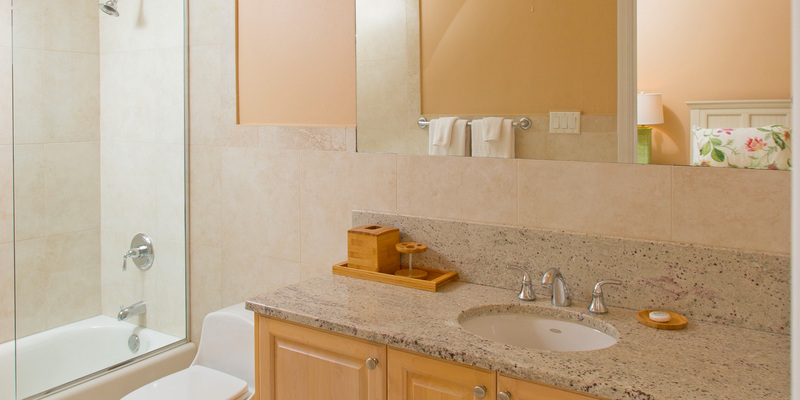 Coral Kai was spectacular for its gracious and wonderful location and amenities. 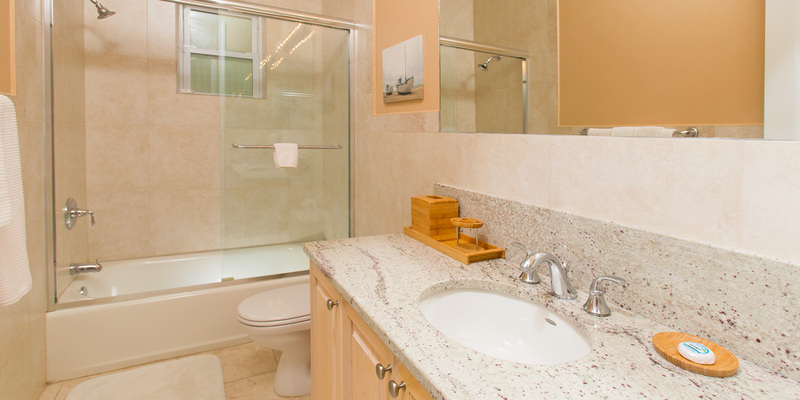 The home is equipped with all you need and many things you will just love! We had a fabulous vacation with our family and hope to return soon. This home is a true gem. Coral Kai is lovely. The layout worked really well for our group and the villa was clean and well taken care of. We absolutely would recommend! After hurricane Irma devasted St.Martin, our group needed to find a place quick to vacation or cancel our yearly trip. Someone suggested Grand Cayman. 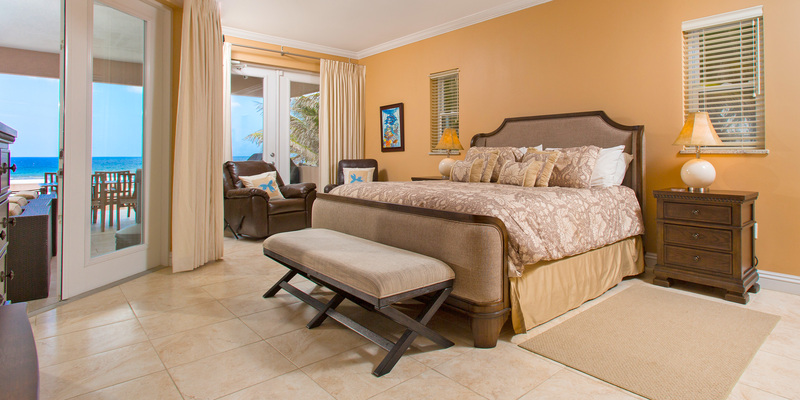 We were lucky enough to find several villas that fit our needs, but decided on Coral Kai. 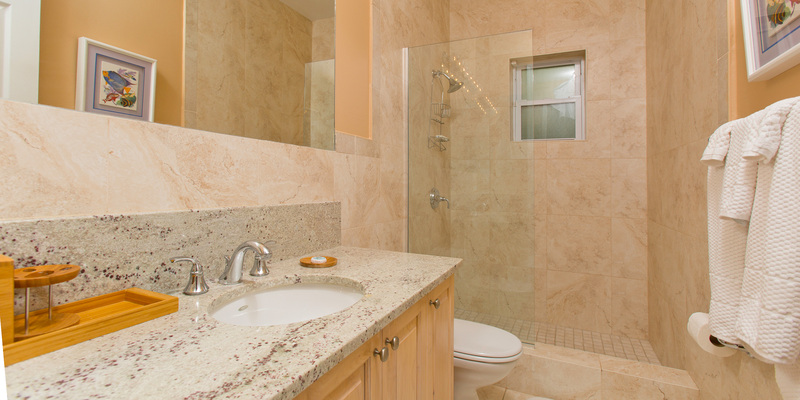 The interactive floor plan was a really great tool in making this decision. It was clean, comfortable, nice pool, all the equipment to cook some great meals! The layout is great. Several of our group likes to have some space protected from the sun. The outdoor space is perfect. They are still a part of pool fun, but not sitting in the sun. We recommend this villa. 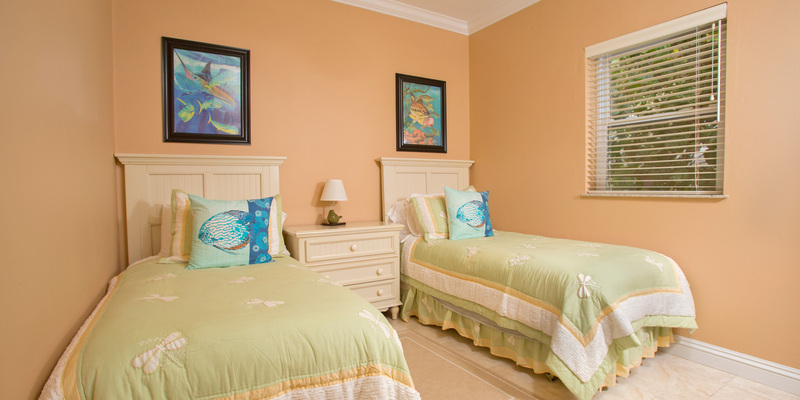 Family of 4 enjoyed a relaxing stay at Coral Kai. Management was very helpful in resolving one issue that came up during our stay. We will return to this villa in the future. Great one story Oceanfront Villa with a super floorplan.Very large bedrooms ,baths and closets.Very open kitchen and living area with high ceilings.Beautiful views overlooking the pool and the ocean.Very spacious lounging area outdoors.Easy beach access .Maids were great and Scott took great care of us.Kaibo Yacht Club,Over the Edge and The Light House restaurants were all excellent.Of course Rum Point is only one mile away and is a great place to unwind and spend the day.Would definitely recommend Coral Kai to any of my friends or family!! We check out tomorrow and our crew of 8 is sad to leave. House is better than pictured. 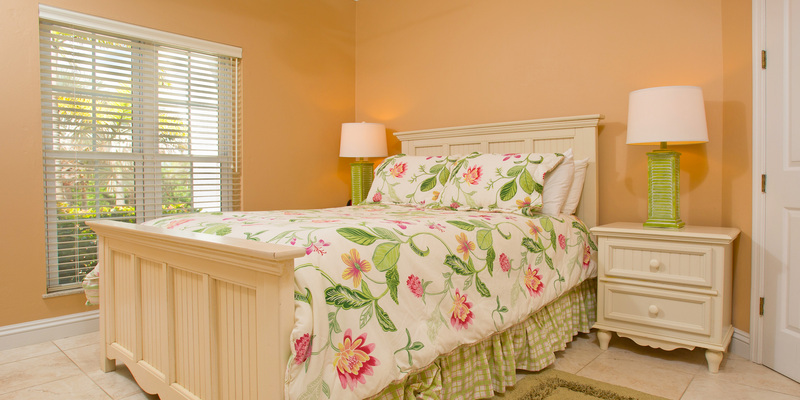 The beds are comfortable and the bedrooms spread apart for privacy. Outside you have the pool with a perfect view, the beautiful ocean with good snorkeling and the covered patio for rainy days. We could all still be outside when the weather was bad. There were 11 lounge chairs on the pool deck, 5 or 6 down by the water, patio tables and chairs and the awesome outdoor couch and chairs. We also liked that this property doesn\'t seem to gather sea weed the way others nearby do, so getting in the water is more pleasant. The kitchen is fairly well stocked and the extra fridge was nice for drinks. Beach towels and bath towels were in good condition and access to laundry was perfect. Rum Point is an easy jog on the road if you go early. Air conditioning works super well. We all felt this was one of the nicest places we\'ve ever stayed and there is no need to keep looking at houses if we ever come back. Excellent property, very well kept modern villa. If it wasn\'t for mosquitoes, this would be truly the paradise. We found two large reefs right out in the ocean to the right of the property with a lot of fish for snorkelers. Large shaded patio with a gas grill - allowed us to prepare and enjoy lunches and occasional dinners. All appliances, internet, and TVs are in operational order. Since we had couple of small children in our party, we paid for a heated pool and it was warm. We enjoyed the villa, patio, pool, ocean and the scenery tremendously. We went to the Rum Point to eat couple of times. Avoid Rum Point Club, its a tourist trap, but Kaibo Bar and Grill was fine, especially their pizzas. Stingray City is a must! Reservations must be made ahead of time. 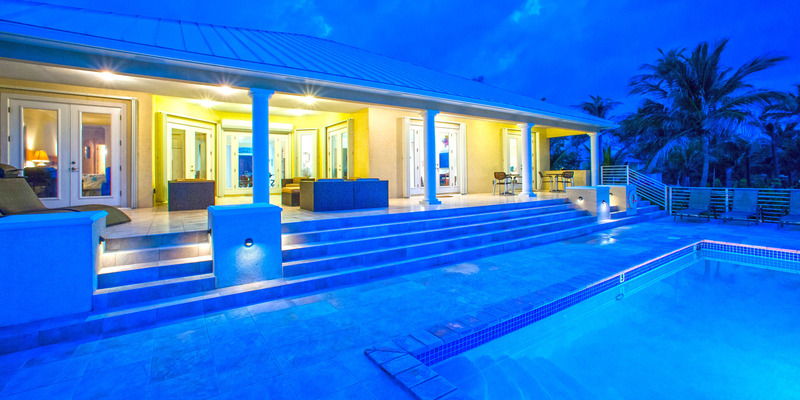 Highly recommend Grand Cayman Villas, reputable and customer oriented company. 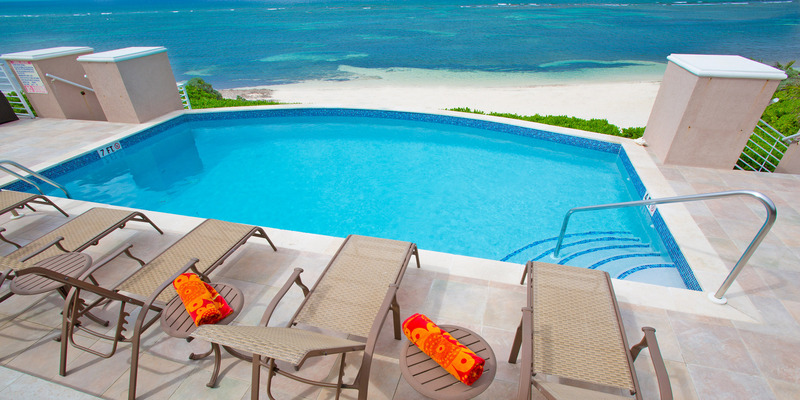 As far as property, Coral Kai is an excellent vacation villa. I sure wish we could control Mother Nature. Generally mosquitos are not a problem in December. But so glad you had a nice tome at Coral Kai. Please come again!!! This place was as advertised maybe larger then pictured and we had a great time. 10 Adults and a couple of toddlers had lots of room to run and hang out. Outside patio and pool had plenty of chairs and lounges for all of us. The covered patio area was good for sunburns needing a little break from the sun. There were plenty of pool floaties, life jackets, goggles, snorkel gear and beach toys for adults and kids. Pool was warm and was serviced while we were there. Plenty of beach towels and bath towels. Washer and dryer are great, only need a few sets of clothes and then wash and wear. We brought to many clothes, could have saved weight in suitcase. Ocean was warm and only steps away. It is shallow, max depth is 4 feet, but still easy to snorkel around. Descent snorkeling around a few coral areas right in front of house. We rented an SUP board and had a lot of fun with that, because the reef offered protection from big waves. Great snorkeling at Rum Point only 5 min away. Only had problem with bugs one night when there was no wind. If you like the sound of waves you will love this place. 5 of 5 stars Ease of booking 5 of 5 stars Directions to the property 5 of 5 stars Key pickup/access to the property 5 of 5 stars Overall condition 5 of 5 stars Quality of bedding/mattresses 5 of 5 stars Kitchen/utensils quality 5 of 5 stars Cleanliness of bathroom 5 of 5 stars Quality of facilities/amenities 5 of 5 stars Service Liked best: the pool was great, area was quiet like having our own private beach Liked least: All the dishes were breakable not too kid and pool friendly, but we brought some of our own. Traveling group: Extended Family Would I recommend this vacation rental to my best friend? Yes. Recommended for: Friends getaway Families with young children Large groups The property was \"as advertised\". I recommend the location. The property was a good value for the price paid. The property provided wifi/internet access. Outside deck was perfect place to relax, great lounge furniture, plenty of space, perfect size pool for kids, large beach area, sea weed visible but not an issue its the ocean there\'s always going to be some, but could walk out with kids for a long ways to the break. the house large rooms so you could make noise and still sleep. our favorite places were close by, kaibo, rum point 5 min. drive. enjoyed biolum tour at night kayak. plenty of towels, spices, 2nd refrig for beverages, pots, pans, store about 10 min to buy little stuff needed. would rent from again! 5 of 5 stars Value 5 of 5 stars Comfort 5 of 5 stars Location 5 of 5 stars Cleanliness 5 of 5 stars Check-in 5 of 5 stars Service Would I recommend this vacation rental to my best friend? Absolutely! We had an amazing, peaceful, relaxing, fun, beautiful stay at Coral Kai. It met our expectations and beyond! We loved the house, pool, and beach area. We want to go back! 5 of 5 stars Value 5 of 5 stars Comfort 5 of 5 stars Location 5 of 5 stars Cleanliness 5 of 5 stars Check-in 5 of 5 stars Service Would I recommend this vacation rental to my best friend? Absolutely! Outside deck was perfect place to relax, great lounge furniture, plenty of space, perfect size pool for kids, large beach area, sea weed visible but not an issue its the ocean there's always going to be some, but could walk out with kids for a long ways to the break. the house large rooms so you could make noise and still sleep. our favorite places were close by, kaibo, rum point 5 min. drive. enjoyed biolum tour at night kayak. plenty of towels, spices, 2nd refrig for beverages, pots, pans, store about 10 min to buy little stuff needed. would rent from again! Right from the start, our experience was great with this house. 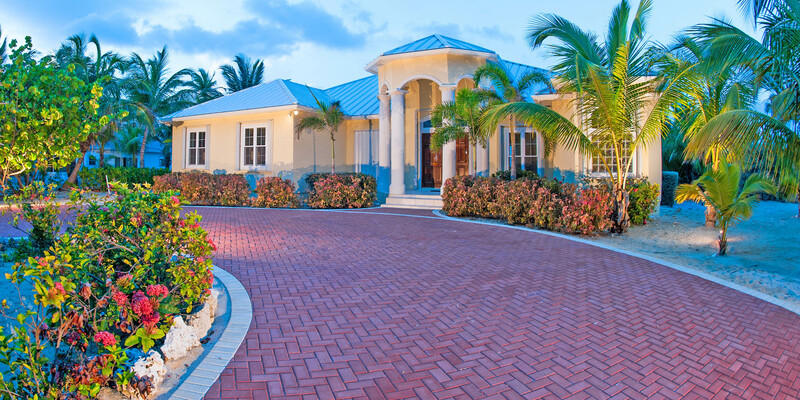 The folks at Grand Cayman Villa Rentals are excellent at responding to enquiries, and overall are very professional and prompt. They bought 2 life preservers as soon as we asked if they had any, and they bought a new gas grill because the old one had been taken away. Very good service. The house is beautiful, and comfortably appointed. The layout is great for multiple people. We had a toddler and an infant along with two grandmothers and a brother, and everyone had their own space and rooms. There were plenty of towels. 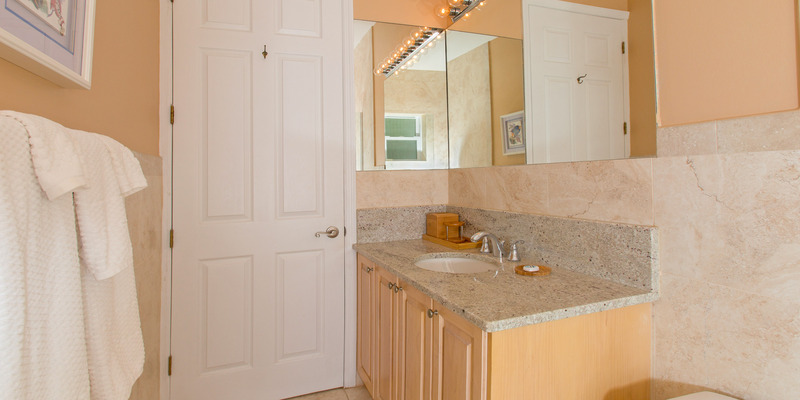 The bedrooms and bathrooms are a good size--we never felt cramped. The outdoor furniture is comfortable. It was wonderful to have the pool and the ocean right outside the house. The beach was fine for our toddler to play on, with no strong waves and enough sand to walk around and play. Water shoes helped. Many reviews have said how great the snorkeling is right outside the house and I would say it was mediocre at best. I travel around the carribean snorkeling and I would rate this about a 2 or 3 out of 10 for snorkeling. I explored a large area of the reef in both directions from the house. Nearby, at Cayman Kai and Rum Point public Beaches, the snorkeling is much better, with some very healthy coral and fish life (maybe a 7 out of 10). In front of the house, there are fish in the water, but there is almost no healthy coral. I was very disappointed in the quality of the snorkeling right in front of the house, and that was one of the major reasons we chose this house. We loved the location, being close to Rum Point with a few good restaurants nearby, and away from any crowds. We cooked almost every meal at home, which saved money and was very convenient with two little ones. We dove on the east end (20 minutes away)and enjoyed it very much--excellent reef and fish. We had an amazing, peaceful, relaxing, fun, beautiful stay at Coral Kai. It met our expectations and beyond! We loved the house, pool, and beach area. We want to go back!